Your Book Club Could Win a Family Tree Party Pack! Family Tree goes on sale August 9th. View this email on the web. Enter for a chance to win a Family Tree Book Club Pancake Party Pack! 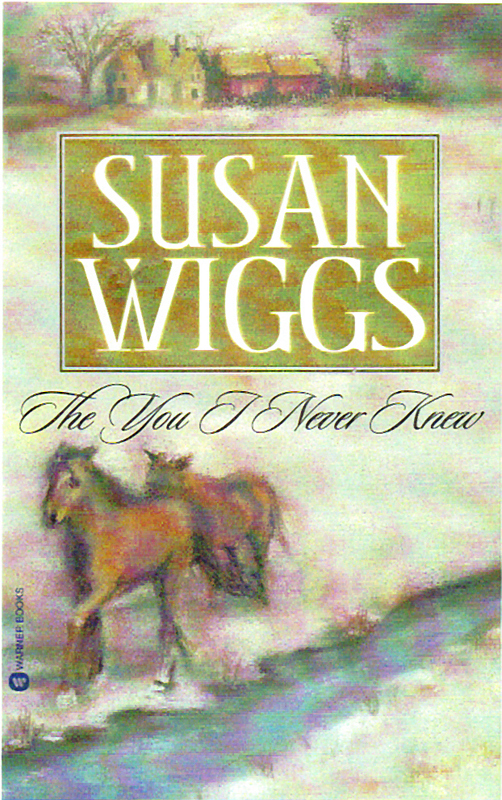 Family Tree, the upcoming novel by #1 New York Times-bestselling author Susan Wiggs, is a perfect read for book clubs. The powerful, emotionally complex story of love and loss, heartbreak and healing, sets the stage perfectly for discussion–not to mention the irresistible recipes to inspire a menu for your club’s meeting! 25 lucky book clubs will each win a Family Tree Book Club Party Pack, including 2 copies of Family Tree, maple syrup and pancake mix, and a personalized note from Susan Wiggs. Winning book clubs will also be invited to a video chat with Susan. Enter here for a chance to win. Eagerly anticipating the release of Family Tree on August 9th? Color while you wait! Click here to download a Family Tree coloring book page. Pre-order your copy of Family Tree at the links below. I am posting this as a public service. Part of my revision process involves printing out my manuscript in Microsoft Word. I work in WordPerfect because it thinks the way I do. But there’s one feature of Word that’s really helpful when I do a marathon sit-down and read-through with my editing pen in hand. 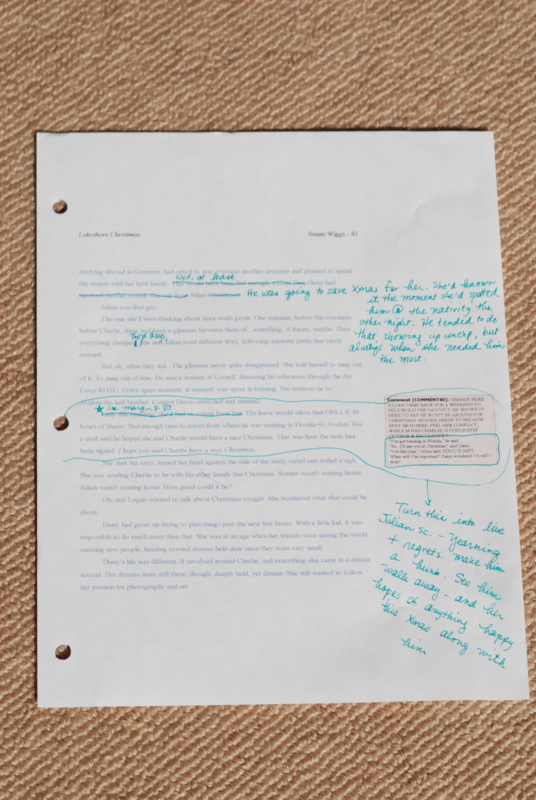 You can print the ms with your comments and edits in balloons in the margin…so you know what you were thinking as you worked. But the "new" Word, which comes as a subscription for 10 bucks a month, doesn’t want you to do this. After monkey around for way too long, googling "print showing markup" and all possible variations, I requested a call from Microsoft help. The phone rang immediately (boggle)…and the helper monkeyed for another 40 minutes (remotely) with no success. She promised I’d get a call from a higher power in 4 hours. That’s a long time to wait for a higher power. There you go. 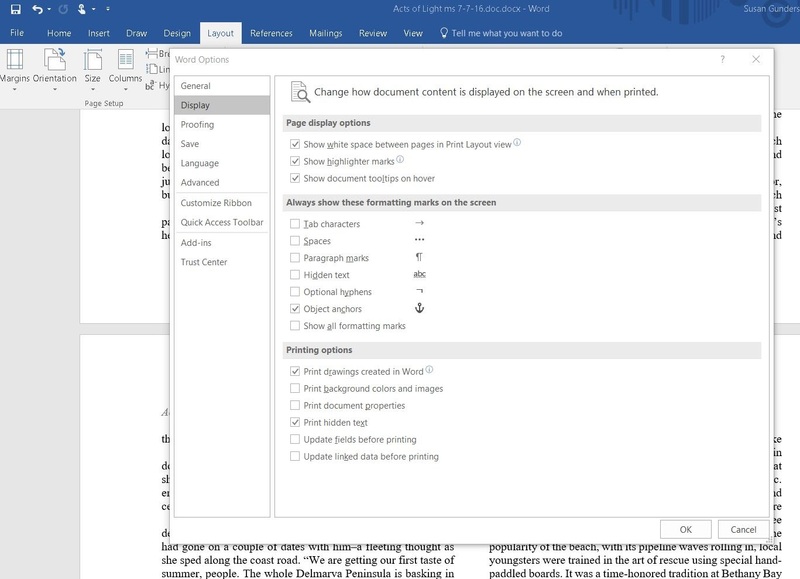 You have to go to the opening screen of Word, then click OPTIONS, and then click DISPLAY. Look under "printing options" and check the box that says "Print hidden text." Then CTRL-P, and there are your comments.